Is it a wolf? It might look like one, but trust me, it isn’t. This is a Native American Indian Dog, and – since they’re still quite rare – it wouldn’t surprise me if you have never heard of such a thing. But, boy, are they becoming a thing! Also known as the NAID, this breed was developed to resemble the ancient dogs that lived among Native American tribes. Due to their sociable, gentle, and versatile natures, not to mention stunning intelligence, they are becoming more and more popular as pets. So, let’s find out more about this interesting specimen. Stick with us! 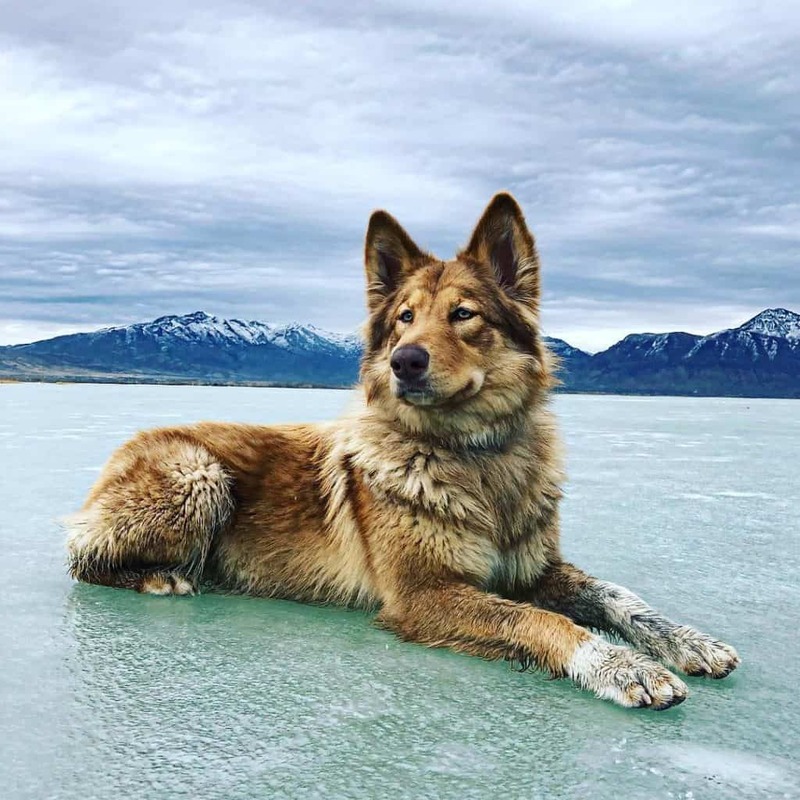 While some people believe this dog’s ancestry dates back to those that lived alongside the Native Americans, it is widely acknowledged that original native dogs are extinct. Actually, the Native American Indian Dog is a breed that has been recreated based on historical documentation of that ancient breed. This is similar to the way that American Alsatians are being bred to resemble prehistoric Dire Wolves. These dogs are bred selectively to achieve the character traits and appearance of the original native dogs. The ancient dogs this breed has been modeled upon played an important role in Native American tribes. They would pull heavy sleds, hunt, and fish, and babysit children and the elderly. So, it is no surprise that today, these intelligent and gentle dogs make excellent hunters as well as therapy, weight pulling competition, and search and rescue dogs. Not forgetting, of course, they’re excellent family pets! NAID size can vary from large to giant. Their weight can range from 55 – 120 lbs (25 – 55 kg) and they can measure 23 – 34 inches (58 – 67 cm) tall. A distinguishing feature of this breed is their triangular-shaped head, which is broad with a slender muzzle. The coat can come in two lengths: there is always a thick, wind- and waterproof undercoat, and the overcoat is either long or short, usually with a rough texture. As for coloring, this can range from silver to black, either with a tortoiseshell pattern or broken pattern. 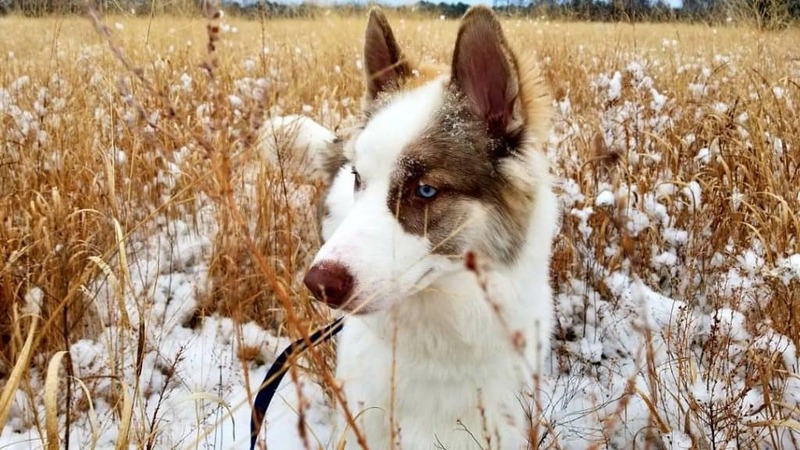 Though they are rare, white Native American Indian Dogs also exist and are becoming a popular choice among pet owners, probably because they’re just utterly beautiful! Through selective breeding, many of the amazing traits of the original dogs live today in NAIDs. So, what’s it like to own a Native American Indian Dog? Bred to carry out a number of tasks, it is not surprising that the intelligence of this dog is very impressive. They also love to please, so they are highly trainable indeed. They need a firm, confident leader, but these dogs are sensitive, so using a harsh tone is not necessary. Due to their trainability and versatility, they have been trained to work in many fields. They are excellent hunters, guard dogs, weight pullers, and they provide comfort and assistance to people as therapy and service dogs. To see their brains in action, check out this video of an 11-week-old NAID pup being trained to become a Service Dog. Native American Indian Dogs also make great pets for the family. They are very social and gentle, hence are good with children and other pets. They are very loyal and protective of their family, which makes them great watchdogs without being aggressive. NAIDs usually deeply bond with their human pack, so do not like to be left alone for too long. I would not recommend leaving her for more than 3 hours at a time. Of course, being a working breed, this dog will need adequate exercise to keep her healthy and happy. So, most of all, if you’re considering getting a Native American Indian Dog, you should be an active family. I recommend at least an hour of vigorous exercise a day. Some dogs like Chihuahuas are suited to apartment living, but that is not the case with this dog. Since they’re large and active, they need plenty of space. They do better living in a house with a fenced-in garden to run and play in. So, if you’re an active family that can offer this dog ample room in your lives, the NAID will make the perfect companion for you. There appears to be only one main health concern for the NAID, which is hip dysplasia. This is a common disease that can develop in large breed dogs, which causes pain and, in severe cases, lameness. As always, when buying your pup from a breeder, they should be able to show you documentation that states they have the all-clear for this condition. What’s more, the NAID usually lives for between 14 – 19 years. So, they are a very healthy and long-lived dog, indeed! Good news for allergy sufferers – the coat of the Native American Indian Dog is hypoallergenic! Yay! It is also said to be odor-free, so it’s great news for all the family! However, once a year in Spring, you’ll need to get that brush out every day (and probably the vacuum, too! ), as this is when that undercoat sheds heavily. I have seen many people claiming that the NAID is the same as the Carolina dog. While they may be related, these dogs are certainly different. While the Native American Indian Dog has been recreated to resemble the dogs who lived among Native American tribes, the Carolina Dog is a dog that is being re-domesticated after being rediscovered living as free-roaming population. Believed to be America’s “only wild dog,” they are thought to be related to Asian “pariah dogs” which were brought to North America 9,000 years ago. Carolina Dogs look similar to the Dingo dog of Australia. They are much smaller than NAIDs, with wedge-shaped heads, and often have a tan, black and tan, or off-white coloring. As for their personality, they are also highly intelligent and bond very deeply with their owners. However, their prey drive is usually stronger than the NAID’s, so they are less likely to get on with other household pets such as cats. Also, the Carolina Dog is recognized by the AKC, while the Native American Indian Dog is not. Take a look at the video below to see how very different these breeds are! This breed is being mixed with a few others to make some wonderful family pets. Bear in mind that you may not be getting a 50-50 mix, so there can be a lot of variation between crossbreeds. Plus, since the size of the NAID can vary considerably, so can the size of the mixed breeds. Another breed that is becoming a popular pet is the Native American Shepherd. This is a cross between the Native American Indian Dog and the Belgian Shepherd, also known as the Belgian Sheepdog. Like Native American Indian Dogs, they are incredibly loyal, gentle creatures who love to be at your side. They are also very intelligent and biddable – which is no surprise since they descend from two bright, working breeds. They often excel at dog sports, such agility, herding, and obedience training, and due to their gentle nature, they also make fantastic therapy dogs. 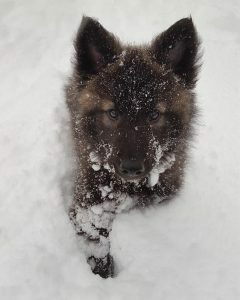 Then there’s the Siberian Indian Dog. This is a mix between – yep, you guessed it! 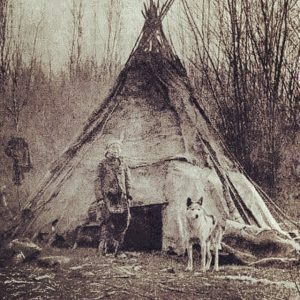 – the Siberian Husky and the Native American Indian Dog. This dog inherits the smarts and sociability of their parent breeds but tends to have the added touch of the Husky’s higher energy and playfulness. They’re great companions for children and do well living with other dogs. Last but not least, this drop-dead gorgeous doggo is a NAID crossed with a German Shepherd. Beautiful, smart, and trainable, they have all the positive traits of their parent breeds. Shalom Shepherds are very protective and intuitive, so they make good watchdogs. Like NAIDs, though, they are relaxed and gentle, so they are not the top choice as a guard dog. Shalom Shepherds love to please, so training them is a breeze. They will also love being put to work, whether it’s to herd, do obedience training, or go to agility classes. Their coat can be short or long and often has the German Shepherd black and tan markings, though they can be a variety of colors. If you’d prefer to go to a breeder and get a little ‘un, there are a few places you can find reputable breeders of NAIDs. Since these dogs are rare, they are expensive, typically costing between $1200 – 2000. I’ve done the research, so you don’t have to. Night Eyes NAIDS – California-based breeder, Shirley Allen, had been dedicated to preserving the breed since 1995. JAACE’s Animal Companions – Alabama-based breeders of NAIDs, Siberian Indian Dogs, and Native American Shepherd dogs. They also have free of charge puppy pickup locations in Wisconsin and Indiana. Alternatively, there are always dogs looking to be adopted, and that’s no exception with NAIDs. Adoption fees usually range from $50 – 100. 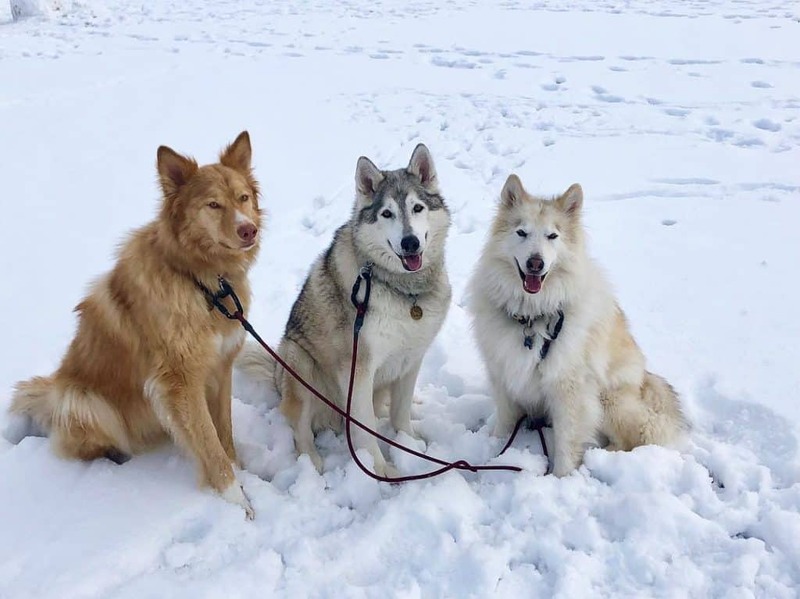 Terra Pines Kennels – Previous breeders of the NAID, they now only provide free rehoming assistance and permanent as well as temporary rescue services to owners of the breed. Contact them through the website to find out if they currently have any dogs up for rehoming. Lake Tahoe Wolf Rescue – Shelter dedicated to rehoming “wolfdogs,” which often has NAIDs up for adoption. My Dog Rescue – Here, shelters advertise NAIDs in need of a home. Native American Indian Dogs are a large breed dog with a big heart and impressive intelligence. 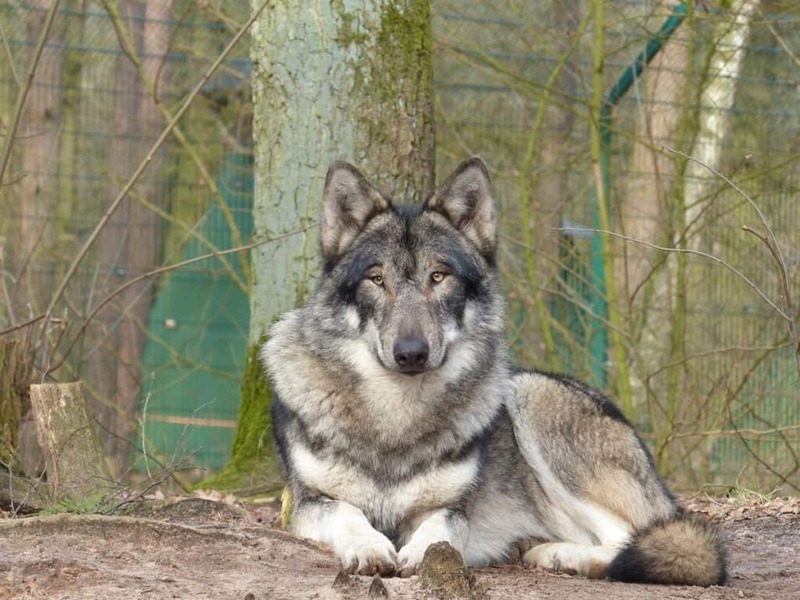 Bred to resemble the dogs who lived among the Native Americans, they are versatile, gentle, and sociable. They are a great match for an active family, and they’re also a good choice if you’re an allergy sufferer, as their coat is hypoallergenic. These dogs need a lot of attention and affection, as they develop strong bonds, so you should be able to provide an environment where they are rarely left alone. You should also have adequate space, as these are large dogs that need lots of room.